Reuters est né il y a 30 ans. Trente années à jouer un rôle clé et indispensable dans la distribution de photojournalisme pour les publications à travers le monde. Pour célébrer cet anniversaire, l’agence a pioché dans ses archives pour nous livrer une partie des clichés les plus marquants. 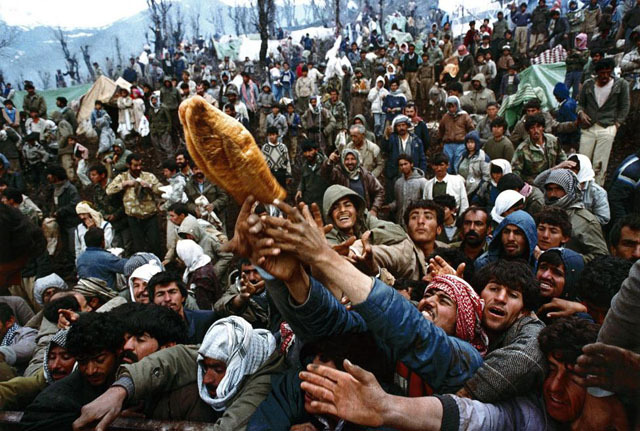 Frantic Kurdish refugees struggle for a loaf of bread during a humanitarian aid distribution at the Iraqi-Turkish border, April 5, 1992. Yannis Behrakis. 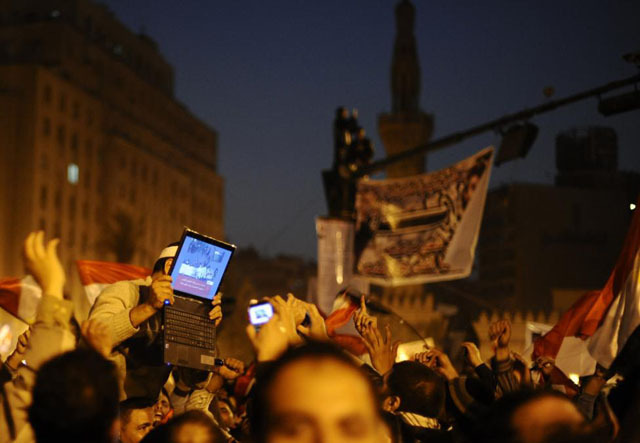 An opposition supporter holds up a laptop showing images of celebrations in Cairo’s Tahrir Square, after Egypt’s President Hosni Mubarak resigned, February 11, 2011. Dylan Martinez. 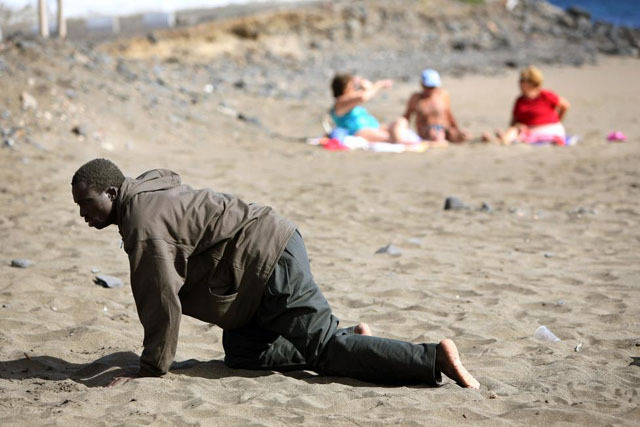 A would-be immigrant crawls on the beach after his arrival on a makeshift boat on the Gran Tarajal beach in Spain’s Canary Island of Fuerteventura, May 5, 2006. Juan Medina. 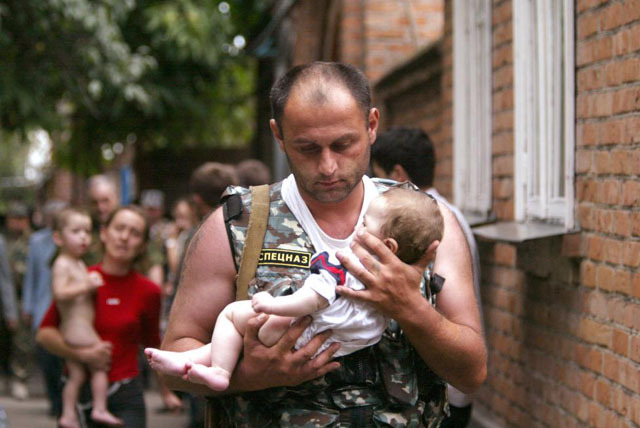 A Russian police officer carries a released baby from a school seized by heavily armed masked men and women in the town of Beslan in the province of North Ossetia near Chechnya, September 2, 2004. Viktor Korotayev. 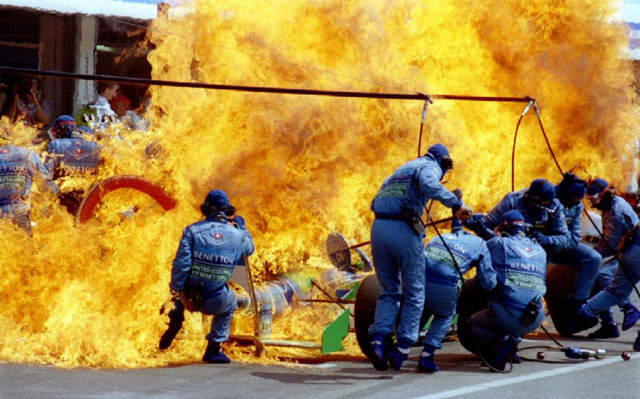 Petrol sprays on the Formula One racing car of Netherland’s Jos Verstappen seconds before the car and the crew of Benetton Ford caught on fire during refueling at the German F-1 Grand Prix in Hockenheim, July 31, 1994. Joachim Herrmann. Sgt. 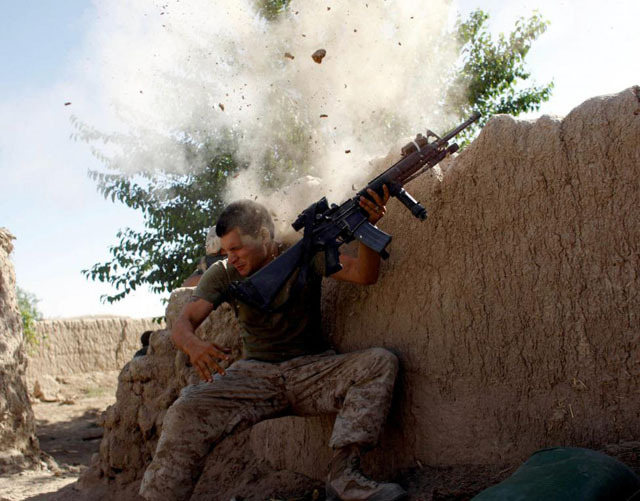 William Olas Bee, a U.S. Marine from the 24th Marine Expeditionary Unit, has a close call after Taliban fighters opened fire near Garmser in Helmand Province of Afghanistan, May 18, 2008. Goran Tomasevic. 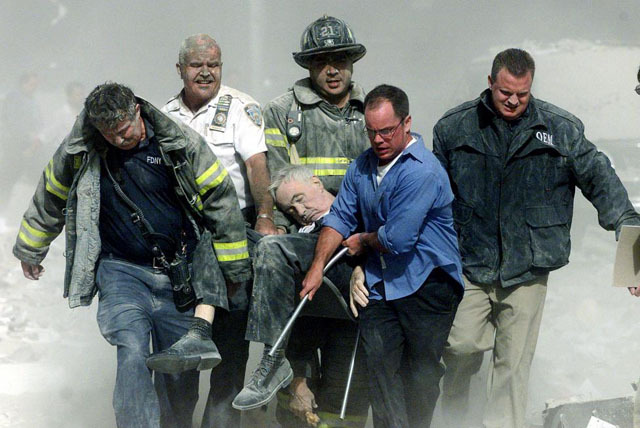 Rescue workers carry fatally injured New York City Fire Department Chaplain, Father Mychal Judge, from one of the World Trade Center towers in New York, September 11, 2001. Shannon Stapleton. 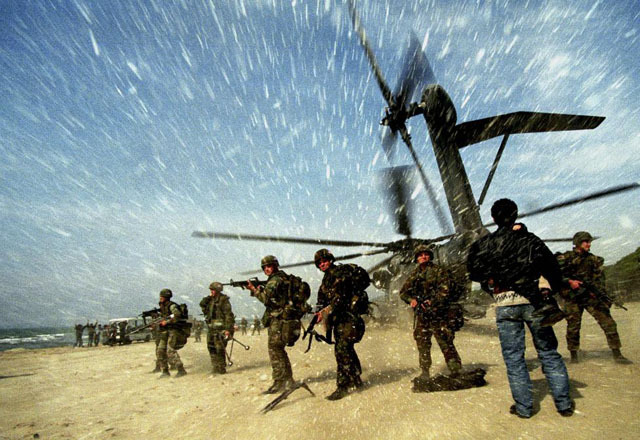 An Albanian man carries a child to a US Marine CH53 Super Stallion helicopter as it lands at Golame beach near the port of Durres, March 16, 1997. Yannis Behrakis. 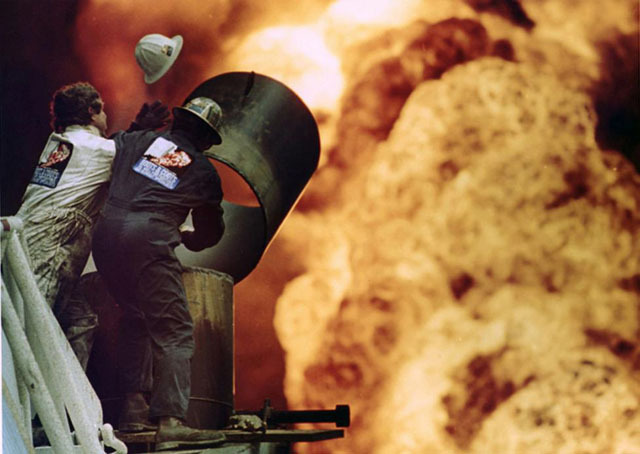 Oil fire fighters from Boots and Coots try to put out an oil well fire in Al-Ahmadi where retreating Saddam Hussein forces had set fire to the oil wells, Kuwait, March 30, 1991. Russell Boyce. 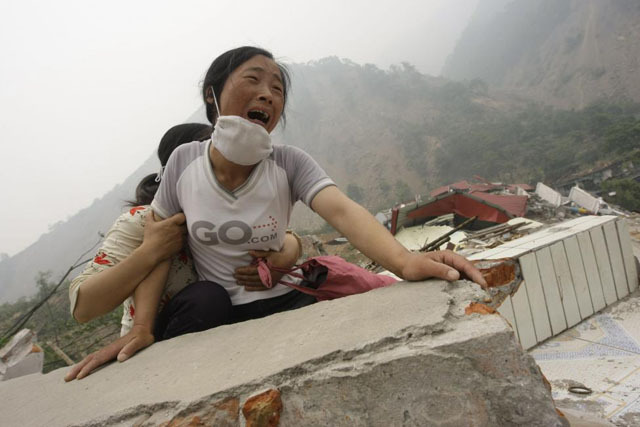 A woman cries as she cannot find her 4-year-old daughter and husband on the top of the ruins of a destroyed school in earthquake-hit Beichuan county, Sichuan province, May 17, 2008. Jason Lee. 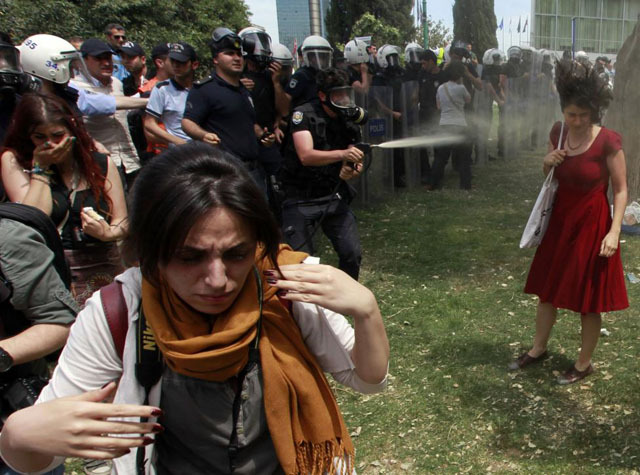 A Turkish riot policeman uses tear gas as people protest against the destruction of trees in a park brought about by a pedestrian project, in Taksim Square in central Istanbul, May 28, 2013. Osman Orsal. 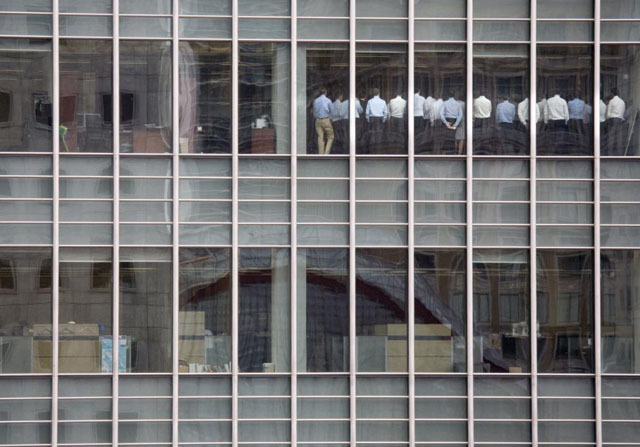 Staff members stand in a meeting room at Lehman Brothers offices in the financial district of Canary Wharf in London, September 11, 2008. Kevin Coombs. A Georgian man cries as he holds the body of his relative after a bombardment in Gori, Georgia, August 9, 2008. Gleb Garanich. 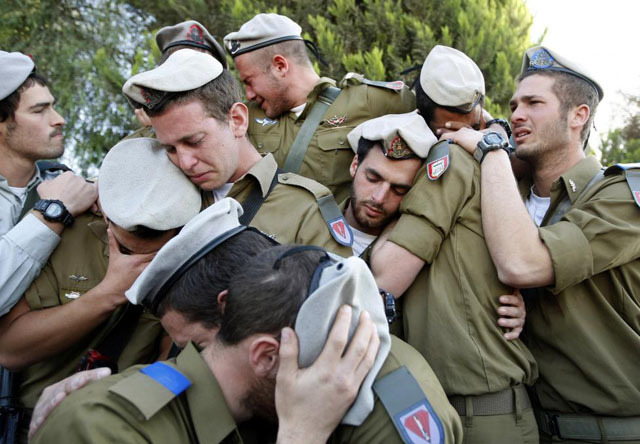 Israeli soldiers mourn during the funeral of their comrade Alex Mashavisky at a cemetery in Beersheba, Israel, January 7, 2009. Eric Gaillard. 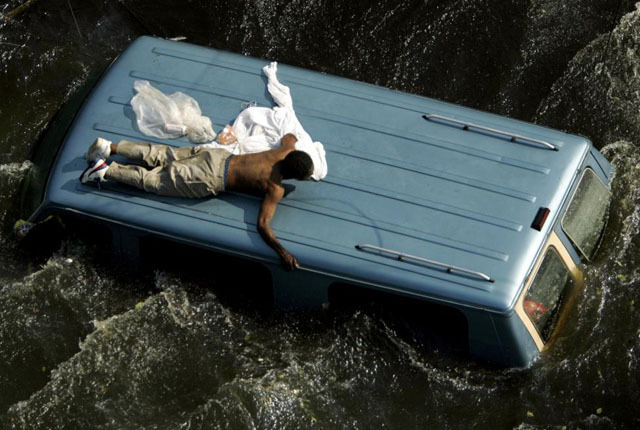 A man clings to the top of a vehicle before being rescued by the U.S. Coast Guard from the flooded streets of New Orleans, in the aftermath of Hurricane Katrina, in Louisiana, September 4, 2005. Robert Galbraith. 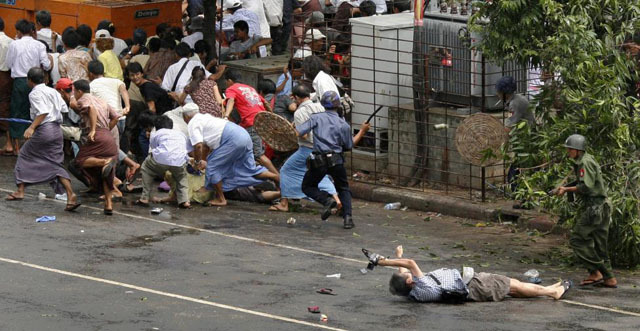 Kenji Nagai of APF lies dying after police and military officials fired on him in Yangon, September 27, 2007. Adrees Latif. 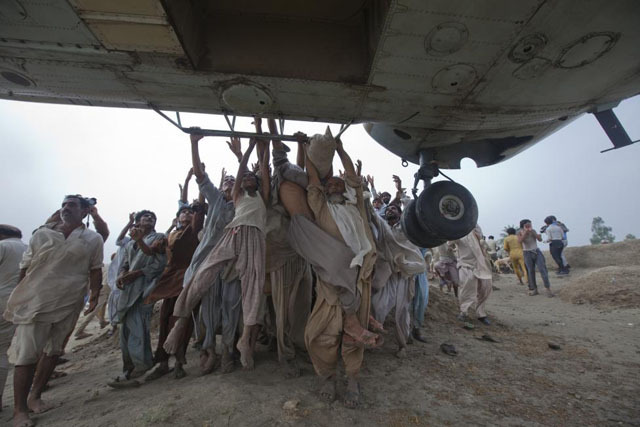 Marooned flood victims try to grab onto the side bars of a hovering army helicopter which arrived to distribute food supplies in the Muzaffargarh district of Pakistan’s Punjab province, August 7, 2010. Adrees Latif. 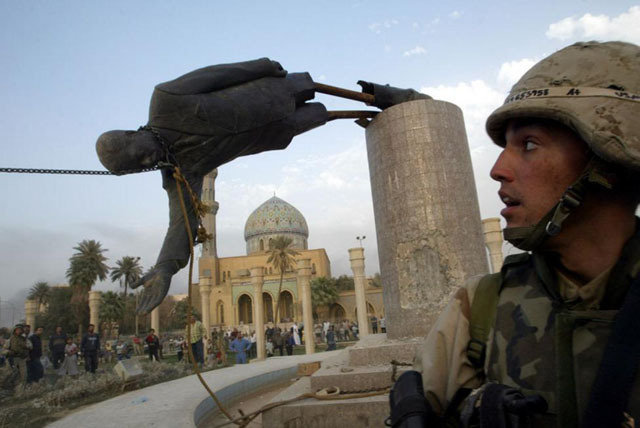 U.S. Marine Corp Assaultman Kirk Dalrymple watches as a statue of Iraq’s President Saddam Hussein falls in central Baghdad. April 9, 2003. Goran Tomasevic. 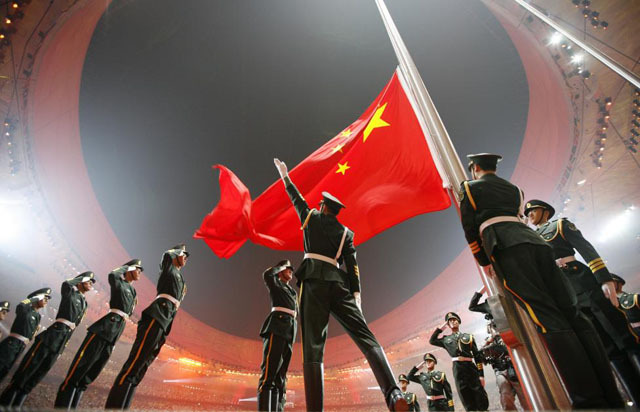 China’s national flag is raised during the opening ceremony of the Beijing 2008 Olympic Games at the National Stadium, August 8, 2008. Jerry Lampen. 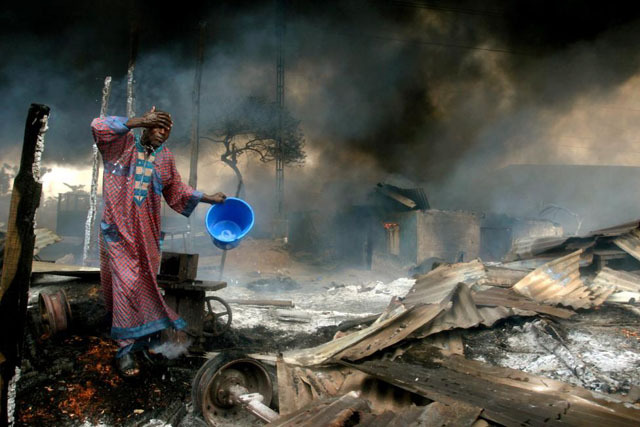 A man rinses soot from his face at the scene of a gas pipeline explosion near Nigeria’s commercial capital Lagos, Nigeria, December 26, 2006. Akintunde Akinleye. 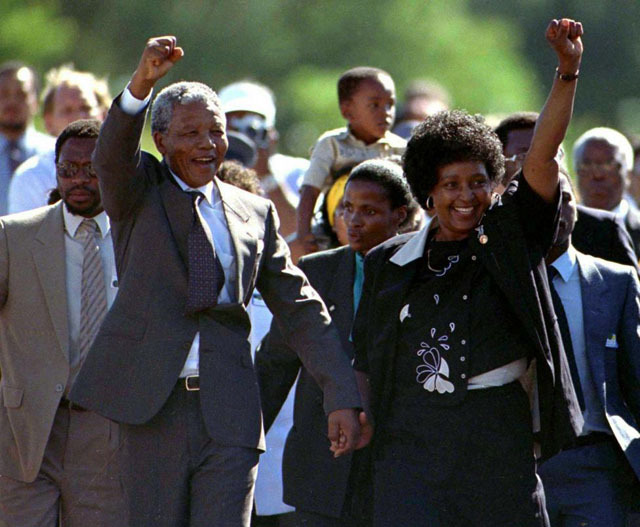 Nelson Mandela, accompanied by his wife Winnie, walks out of the Victor Verster prison near Cape Town after spending 27 years in apartheid jails, February 11, 1990. Ulli Michel. An Indian woman mourns the death of her relative who was killed in the tsunami in Cuddalore, south of the southern Indian city of Madras, December 28, 2004. Arko Datta. 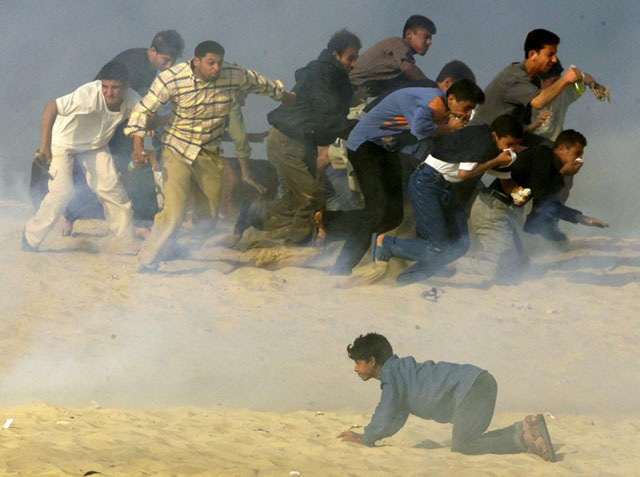 Palestinians try to run away from Israeli soldiers firing teargas during Palestinian-Israeli clashes in the southern Gaza Strip town of Khan Younis, October 20, 2000. Reinhard Krause. The fingers of malnourished one-year-old Alassa Galisou are pressed against the lips of his mother Fatou Ousseini at an emergency feeding clinic in the town of Tahoua in northwestern Niger, during a drought, August 1, 2005. Finbarr O’Reilly. 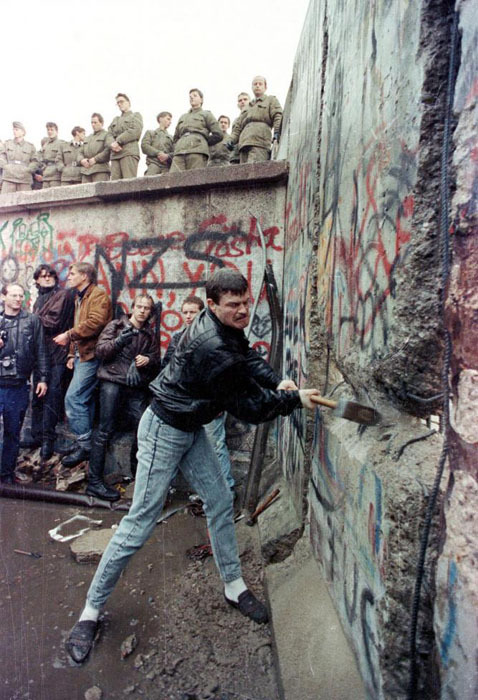 A demonstrator pounds away at the Berlin Wall as East Berlin border guards look on from above the Brandenburg Gate in Berlin, November 11, 1989. David Brauchli. 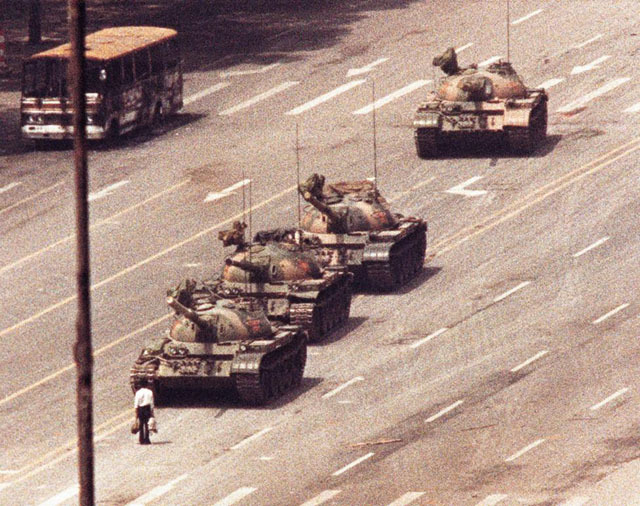 A man stands in front of a convoy of tanks in the Avenue of Eternal Peace in Tiananmen Square in Beijing, June 5, 1989. Arthur Tsang. The bomb damaged area of the City of London, after two blasts ripped through the buildings in the area,April 24, 1993. 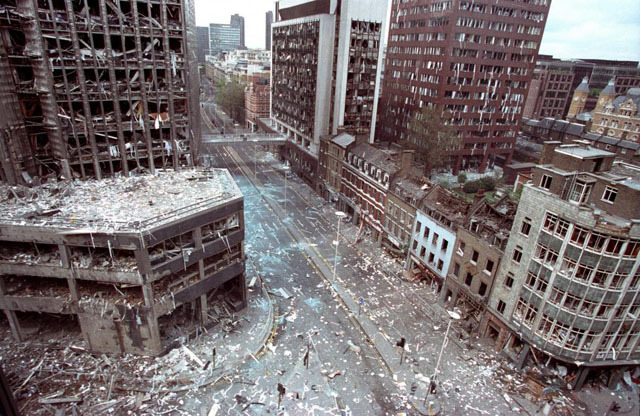 Dozens of people were injured in the blast caused by IRA bombs. Andre Camara. 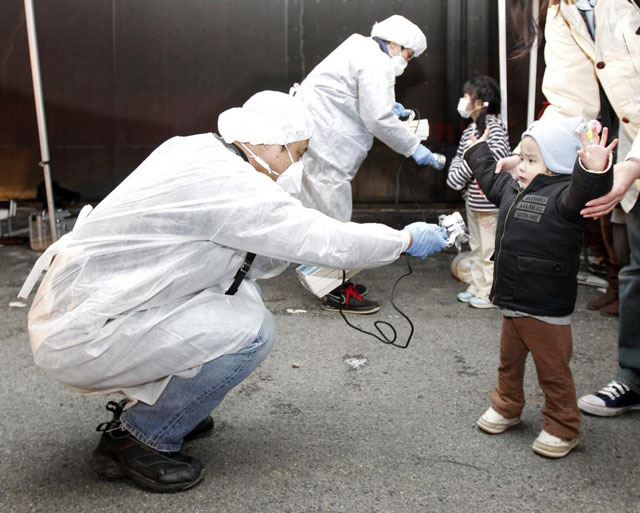 Officials in protective gear check for signs of radiation on children who are from the evacuation area near the Fukushima Daini nuclear plant in Koriyama, Japan, March 13, 2011. Kim Kyung Hoon. 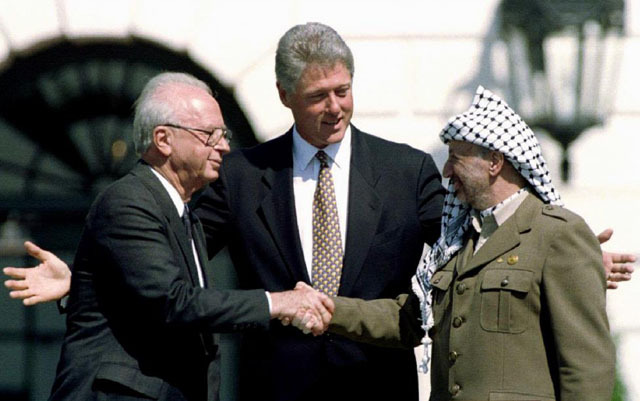 U.S. President Bill Clinton looks on as Israeli Prime Minister Yitzhak Rabin and Palestine Liberation Organization leader Yasser Arafat shake hands after the signing of the Israeli-PLO peace accord at the White House, September 13, 1993. Gary Hershorn. 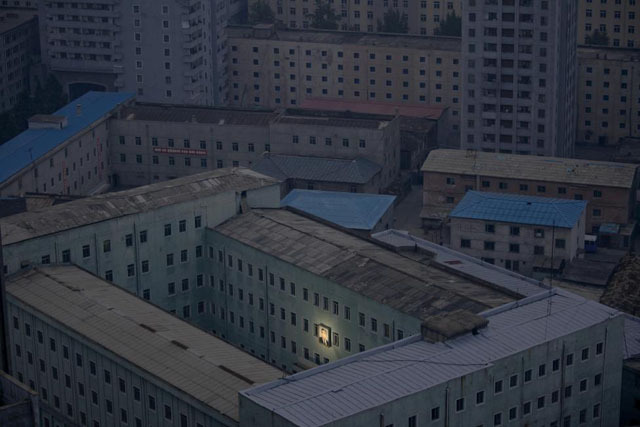 A picture of North Korea’s founder Kim Il-sung decorates a building in the capital Pyongyang, early October 5, 2011. Damir Sagolj.